Seriously - can this get any better? 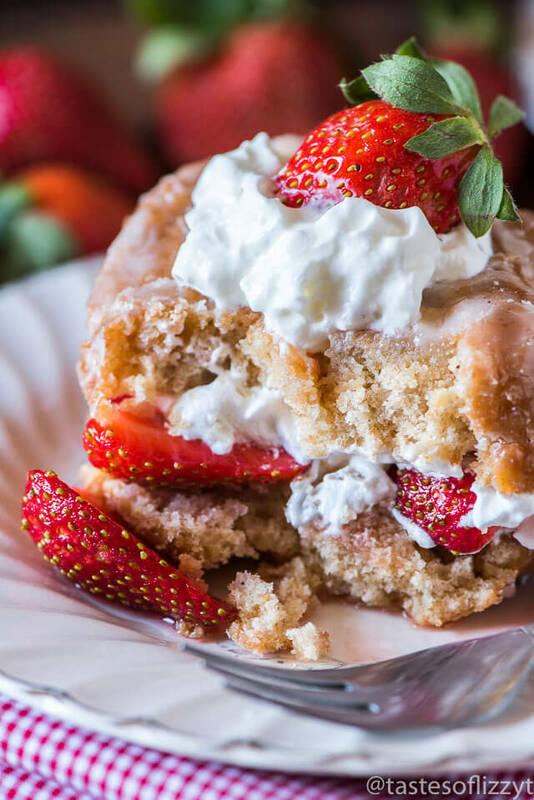 Strawberry shortcake on a donut! At least 4 hours before serving the shortcakes, wash, hull and quarter the strawberries. Place them in a bowl and stir in the sugar to coat the strawberries. Cover the strawberries and place them in the refrigerator. When you are ready to serve the shortcakes, slice the donuts in half and place the bottom half of each donut on a plate. Top with strawberries, whipped cream, the other donut half, then more whipped cream and strawberries, if desired.